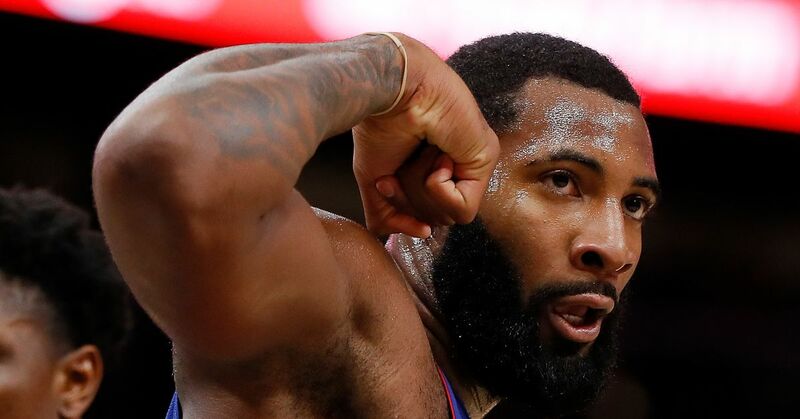 Detroit Pistons center Andre Drummond will miss at least one game after being hit in the face by James Johnson of the Miami Heat during Friday's 98-93 win. Per Vincent Ellis of the Detroit Free Press, Drummond is in the NBA's concussion protocol and won't be available for Saturday's game against the Sacramento Kings. Drummond, who has never been one to miss significant time, appeared in 78 games a season ago to strong results. By season's end, Drummond averaged 15.0 points, 1.6 blocks and a league-leading 16.0 rebounds while dishing out a career-high 3.0 assists per game. Now in his first season playing for head coach Dwane Casey, Drummond has logged 16.3 points, 1.7 blocks and a league-best 14.9 boards per outing. As all those figures indicate, Drummond is one of the league's premier rebounders and second-chance opportunists. He's also a robust pick-and-roll weapon who uses his length, speed and height to finish with authority as a rim-runner. Considering he can control the paint in a big way, losing him for even a brief stretch figures to hamper the Pistons' ability to do damage below the free-throw line. Zaza Pachulia should pick up extra minutes at center with Drummond down, while Blake Griffin figures to shoulder a more significant workload as the Pistons' frontcourt anchor.